Mandarin Oriental Hyde Park offers an enticing blend of elegance, style and luxury. 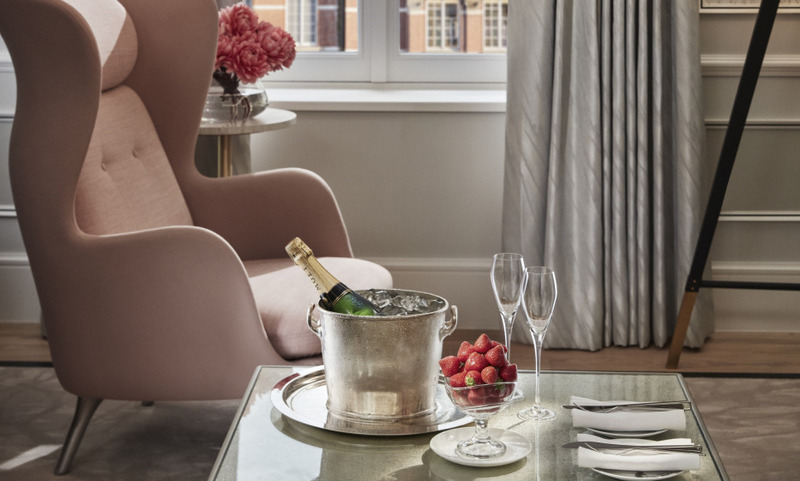 Home to two of the city's best restaurants, elegant afternoon tea room, stunning spa, beautifully designed accommodation and exquisite function rooms, the hotel offers a fashionable, yet timeless base from which to discover the British capital. Enjoy the fantastic culinary experience of acclaimed British chef Heston Blumenthal. Do not miss the traditional afternoon tea lounge, The Rosebery, offering a quintessential British experience. The authentic French bistro dining at Bar Boulud. The people working at the breakfast room including the receptionist were very friendly. One particular waitress was very kind and I knew she was providing special attentions to the guests and she was enjoying working. It was very nice to see people working with considerations and willingness to serve guests, It was remarkably and this is why I like Mandarin Oriental. I have numerous wonderful memories with Mandarin Oriental Hotel (HK).